Reports of cows dying from straw impaction highlights the risks associated with feeding straw-based rations to suckler cows. 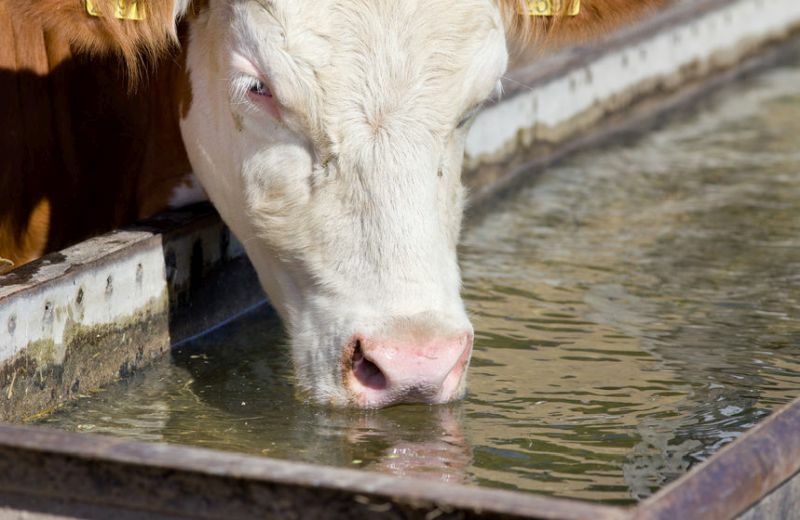 Beef farmers are being advised about the risks of straw impaction, which occurs when cows are fed rations containing mainly straw without sufficient protein supplementation. Feed then becomes blocked in the rumen. Currently forage is in limited supply across many farms, so some farmers are incorporating high levels of straw into dry suckler cow rations. Straw-based rations can be successful, but rely on the ration being supplemented to include other forages or feeds providing sufficient protein that is readily degradable in the rumen. Mary Vickers, Senior Beef Scientist at AHDB, is reminding farmers to check their rations, feeding arrangements and look out for the symptoms to avoid this problem in their herd. “The symptoms of straw impaction are low appetites and very solid dung. The rumen microbes simply don’t have enough protein to reproduce and ferment the feed in the rumen,” she said. • Feeding sufficient protein to pregnant cows in the last month before calving also makes an important contribution to a successful calving and good colostrum quality.